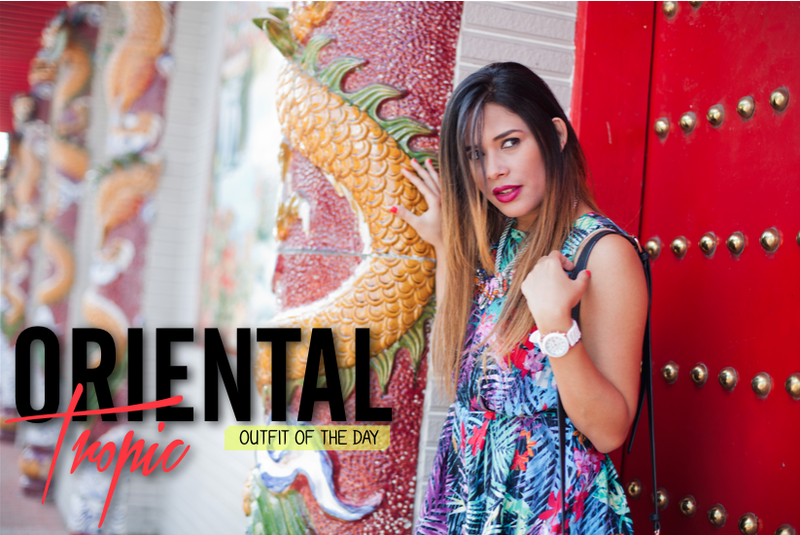 I'm loving today's look big time, not only because of the confort of it but because of the bold colors, the pattern and the great combination with the location we had. I want to thank www.axparis.com for sending me this gorgeous playsuit/romper wish I could have it in every single color. I wanted to keep the vibe of the look so I paired it with these killer heels from www.amiclubwear.com they definitely added some personality to the outfit. 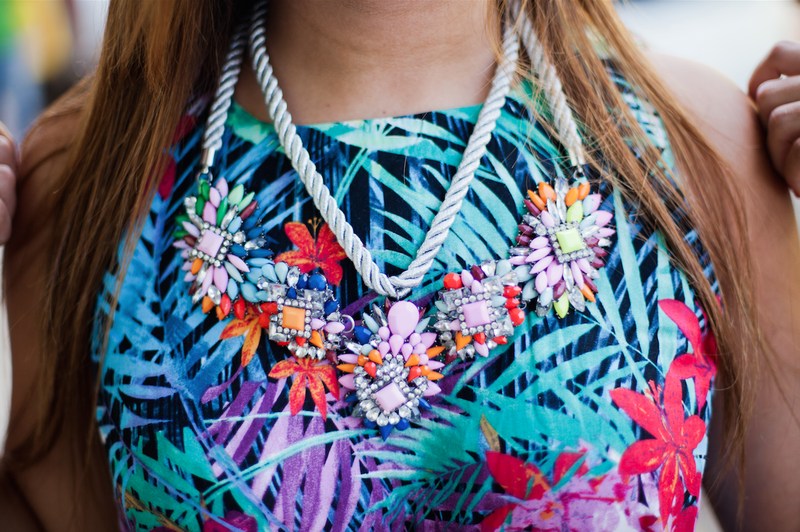 Last but not least, to keep the color sensation I wore this amazing statement necklace from ZippraStore which I completely ADORE. Estoy enamorada de la publicación de hoy, no solo por el confort y comodidad del vestuario sino por los colores llamativos, el estampado y la tremenda combinación con el lugar que escogimos. Quiero agradecer a www.axparis.com por enviarme este hermoso playsuit/romper ''enterizo'' quisiera tenerlo en todos los colores. Quería mantener la vibra del look y lo combiné con estos zapatos tipo ''botines'' (son mucho más cómodos de lo que parecen) son de www.amiclubwear.com estos definitivamente agregaron cierta personalidad al outfit. Por último pero no menos importante, para continuar con la sintonía de los colores incluí este hermoso collar statement de ZippraStore que adoro completamente. Glad you liked it :) Thank you for passing by. So cute! I love your shoes as well!!! Love the playsuit, so fun and cute!